Sweet Pea - Pink - Flowering Perennial Climbing Vine - Attracts Hummingbirds !! 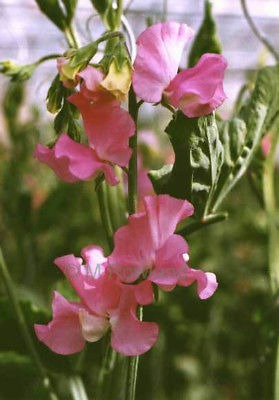 Sweet Pea is an annual climbing plant, growing to a height of 1-2 m where suitable support is available. The leaves are pinnate with two leaflets and a terminal tendril, which twines around supporting plants and structures helping the sweet pea to climb.